Two tennis players have had a spat after one allegedly consulted with his coach during a heat break at the US Open. Britain's number one player insisted fellow female sportswomen make the same sacrifices and are as equally determined and committed to winning as any of the top men on the tennis circuit. As 2017's Wimbledon Championships heat up, UK food delivery service HungryHouse has courted food art guru Prudence Staite to serve up a scintillating series of dishes that recreate top tennis stars to a fault. Celebrities are known for endorsing good causes and becoming humanitarian experts, but how well known are they for going above and beyond and actually "putting their money where their mouth is"? Novak Djokovic, 29, a Serbian tennis player ranked world No.1 in men's singles tennis, won his first French Open title after beating British number one Andy Murray 3-6, 6-1, 6-2, 6-4 in the final on Sunday. Serbia's Novak Djokovic outplayed Scotland's Andy Murray earining his record-equalling 6th Austarlian Open and his 11th Grand Slam title. 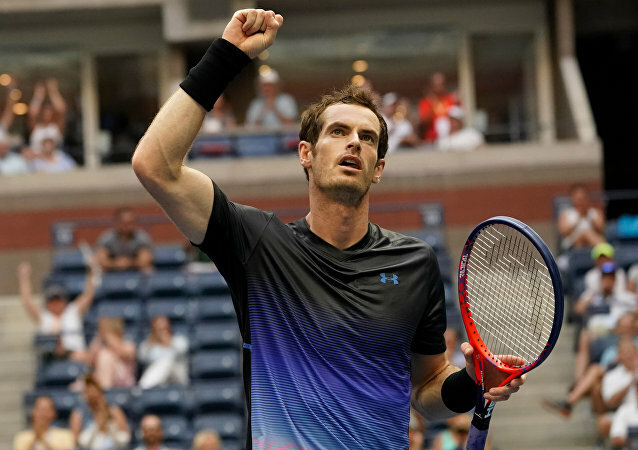 The leader of Scotland's pro-independence Sport for Yes campaign, Michael Stewart, praised the support of Scottish tennis star Andy Murray, in an interview with RIA Novosti Thursday. Scottish tennis star Andy Murray openly expressed his support for his country's independence early Thursday as the historical referendum began. World No. 21 Mikhail Youzhny reached the final of the Valencia Open on Saturday with a straight-sets win over Dmitry Tursunov. Novak Djokovic retained his title at the Shanghai Masters tennis tournament Sunday, edging out Juan Martin Del Potro in the final. Latvia’s Ernests Gulbis provided a big shock at the Canadian Open in Montreal, defeating Wimbledon winner Andy Murray in straight sets. 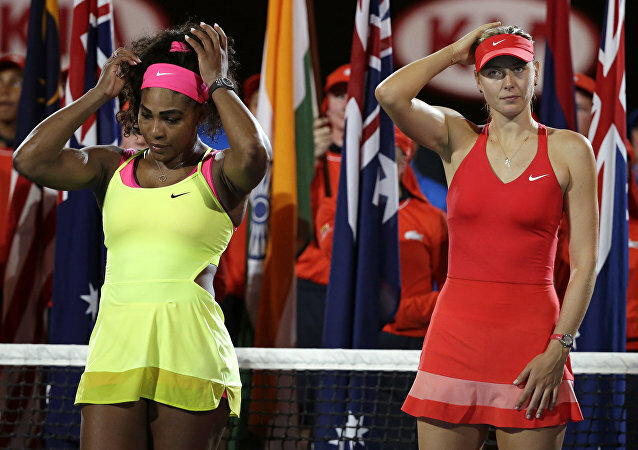 Beaten French Open finalist Maria Sharapova heads a list of seven seeds from Russia for next week's Wimbledon championships published on Wednesday, while five-time champion Venus Williams has pulled out due to injury. Swiss tennis star Stanislas Wawrinka returned to the ATP world top 10 on Monday as French Open first-round play continues. World No. 71 Dmitry Tursunov and 78th-ranked Evgeny Donskoy will compete on the first day of Davis Cup second-tier clash against Britain, Russia’s captain Shamil Tarpishchev told R-Sport on Saturday. Andy Murray and David Ferrer will meet in the final of the Miami Masters on Sunday, after both managed comeback victories in their semifinal clashes. Latvia’s Ernests Gulbis has won the ATP 250 tournament in Delray Beach, propelling him up the new rankings published Monday. Top-ranked Novak Djokovic on Thursday kept alive his chances of becoming the first man in the Open era to win three consecutive Australian Open titles with a semifinal thrashing of David Ferrer.